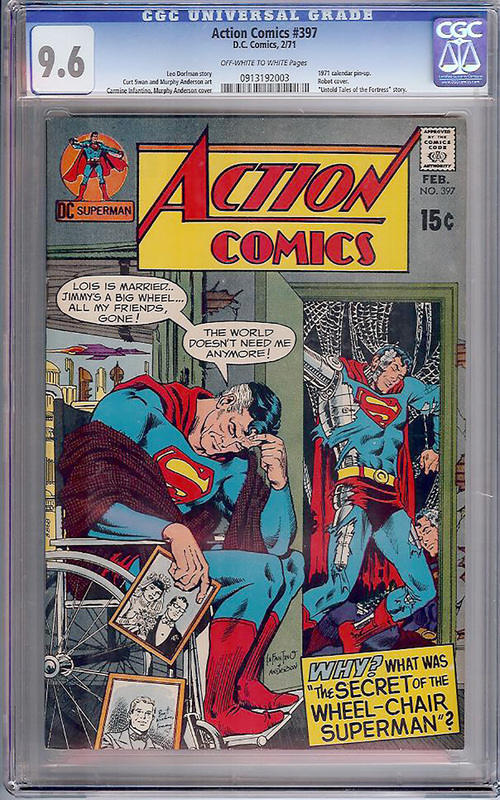 Second highest graded copy. Trails only 5 in 9.8. 1971 calendar pin-up. Robot cover. Perfectly centered with off-white to white pages.